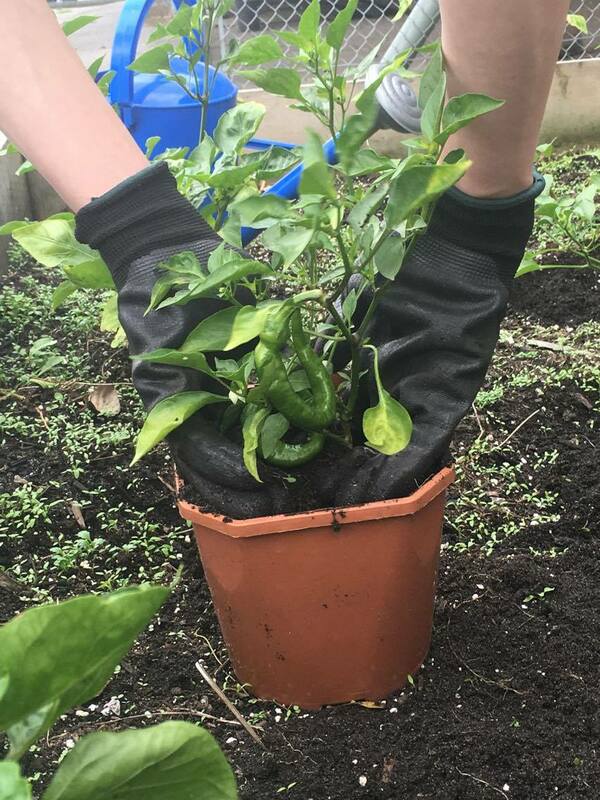 Today we transplanted the peppers from outside to inside because it is progressively getting colder outside. Peppers will not survive outside in the frost and through the winter. This way we will still be able to harvest from the plants through the winter.